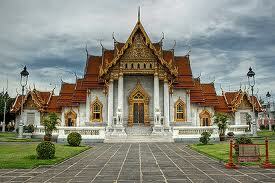 Trip Description : Visit Beautiful recreational park in typical Thai settings, dotted with colourful flowers and plants. Stat the tour at 9:00 AM. Visit Nong Nooch Tropical Garden, an attractive tourist spot in Chonburi that features botanical garden, zoo and Thai Cultural Center with impressive shows. The vast area of the recreational park includes two lakes, bonsai, cactus, palm, and bromeliad gardens, a hothouse for orchids and ferns and a showcase of such animals as tigers, elephants, chimpanzees or parrots. The lively and beautiful performances are produced and directed by Miss Nongluck Thephasdin Na Ayudhaya.